Whether you choose Black Rose for a 40-minute session or a 40-hour session, your satisfaction is guaranteed. 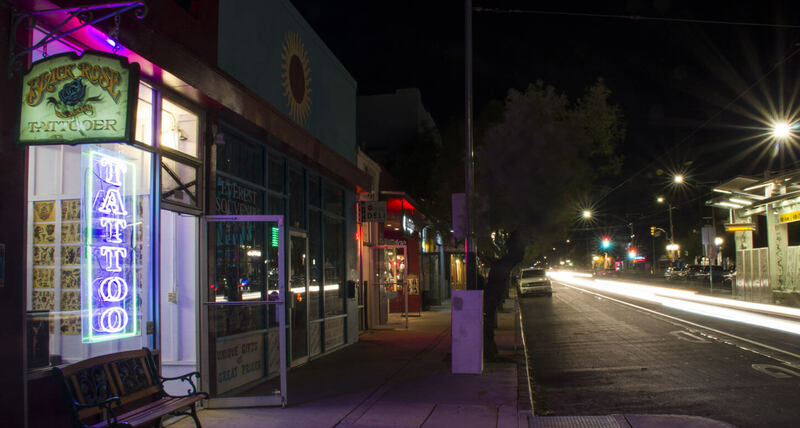 We currently feature ten tattooers working from three locations, two in Tucson and one in Sierra Vista. 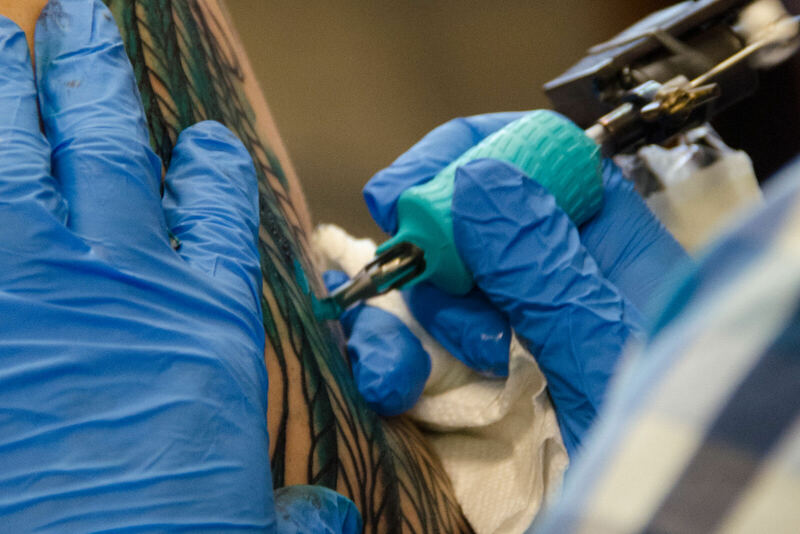 We pride ourselves on our traditional street-style shops, but we are also happy to create custom tattoos to order. All of our tattoo artists are professionally trained to give you the best possible result. We don’t price or schedule appointments over the phone, but we invite you to come in to the shops to meet our tattooers and to set up appointments. 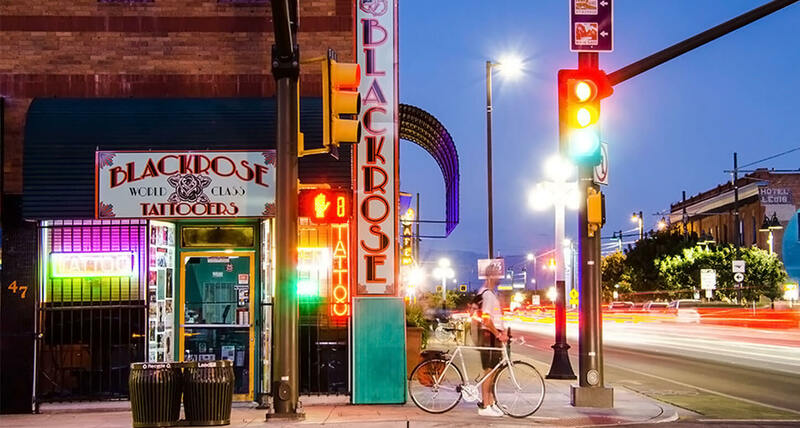 Black Rose Tattooers prides ourselves on being the best in Tucson and we want to prove it to you so stop in and get your new tattoo today! Voted Best Tattoo Parlor 2010-2015, 2017 by Tucson Weekly! Chances are you have at least two friends with tattoos. One is Mr. Hipster with the coolest tattoo you’ve ever seen. The other friend is a quiet business gal who rarely shows off her ink, but when she does, wow. Amazing work. And chances are, because Tucson Weekly has seen this is in action—that the tattoo work was done by Black Rose. Custom work is a specialty, but they also operate as a street-style shop. This is a long-time reader favorite for good reason. Ink virgins should pay them a visit.